Richard Campbell and Cheryl Svensson. Writer’s Digest (2015). Writing Your Legacy is a step-by-step guide for someone to pick up, read, complete the exercises and write their own life story. We have been faithful to the Birren GAB process of ‘life themes’ and sensitizing questions to prompt memories. Using the analogy of building a house, we have structured the first part, Laying the Foundation, to include all one needs to know as to the what-why-how to write a life story. Part two, Building the Walls, gets the reader to just ‘Do it’ and begin writing using thirty five possible themes and questions. Finally, part three or Trim Work, assists the writer in how to format and print their life story. We hope this book will provide the reader with the support and know-how to understand the importance of writing their life story and to help them to carry it out. J.E. Birren & K. Cochran, Johns Hopkins University Press (2001). 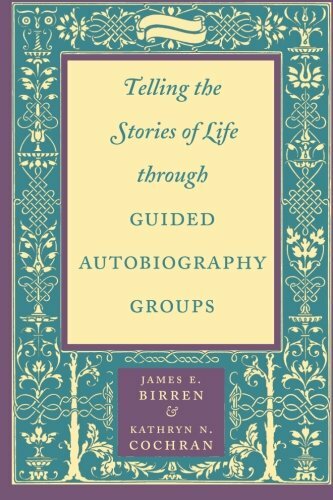 This book is based on more than 30 years of conducting Guided Autobiography groups, and discusses all the topics a facilitator faces while developing a program for adults who want to recall and write down their life stories. The concept of GAB is explained, as well as the benefits to group participants. The book provides logistical information on how to plan, organize, and set up a GAB group. J.E.Birren and D. Deutchman, The Johns Hopkins University Press (1991). This book helps professionals—at senior centers, community centers, and other service facilities—guide older adults and others in preparing their autobiographies. Many older adults, the authors explain, have limited social networks due to widowhood, retirement, and other transitions. GAB is a very effective intervention to increase well-being, foster friendships, and enhance self-esteem. J. E. Birren & L. Feldman, Simon and Schuster (1997). Jim Birren developed the GAB process that encourages people to take stock of their lives so that they can move forward, reinvigorated, into a vital, rewarding future. In the book, Birren urges readers to appreciate all they’ve been through, survived and accomplished; figure out what is missing; and decide how they want to spend the rest of their lives. He offers readers the ability to let go of the fears from the past, to understand themselves, and to see the future as a wonderful adventure. The result is living longer better.